Flooring for your home is a considerable investment – monetarily and comfort-wise. Choosing the wrong flooring can cause daily grief; you’ll be seeing and feeling that floor until you finally move. But with helpful tips, keeping an open-mind and being aware of the “what-if” variables, you’ll have a floor that you and your family will love for many years to come. The above shouldn’t be taken for granted if you live in a small-town; big city conveniences are not readily available in small towns like Keystone Heights, so you won’t be able run back to the flooring store to select another type of floor. Extra-care should be taken when purchasing flooring for your home! What’s The Best Flooring For Your Home? 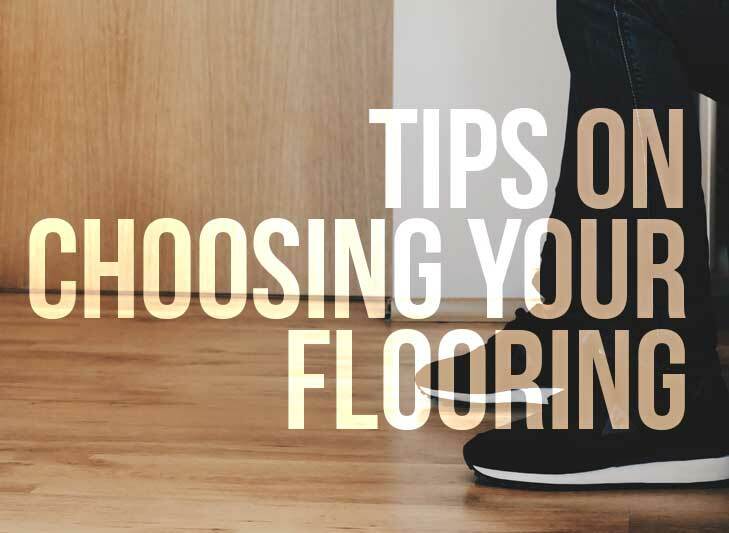 There are many factors when trying to answer this question, we’ve selected the best tips to help you choose your new flooring. The questions you should ask yourself are about: the state that you live, where in the home will this flooring be installed and how much traffic will this flooring receive. Southern states in the United States of America are humid. Florida, though, is the nation’s most humid state. It’s humidity levels are off the chart! If you live in Florida, be sure to heed the advice of Florida’s leading flooring installers, KLC Floors and More. Compared to all 50 states in the US, Florida is the most humid state in the nation (according to a study from FSU). Humidity levels can reach up to 90% during the day – that’s humid! So that being said it is best to think wisely before installing flooring to your home or office….Choosing the best flooring to withstand high humidity levels is key to saving money and keeping a beautiful floor…. Vinyl flooring, engineered hardwood flooring and laminate flooring can withstand high-moisture degrees – read more about flooring for humid areas. Humid rooms like the bathroom and kitchen need thorough planning and researching for that perfect product that matches what you are looking for and if it can perform under high-moisture conditions. Aesthetics and feel is paramount and is probably the ultimate deciding factor when it comes to flooring. According to InvestorWize, new homeowners look for hardwood when choosing their home. Hardwood though isn’t the greatest product to withstand moisture, but today there are flooring products that look like hardwood floors and even feel like it. Vinyl floor planks and engineered hardwood are ideal for kitchen areas, but when it comes to the bathroom then tiles or even waterproof vinyl floor is the right choice. The entrance, kitchen, hallways and living rooms are considered high-traffic areas. In these areas you want a flooring product that can withstand pretty much everything, save from a meteor strike….well, let’s hope they do. Flooring in these areas should be durable, scratch / scuff resistant and hard – because let’s face it, people are going to come in your house with boots, high-heels, mud, etc. etc. And don’t forget about pets, pets can’t help but to leave scratches from their claws. Carpet shouldn’t be an option for high-traffic areas, as you’ll find that it’ll cost you more time cleaning and maintaining the carpet in the long run. If you have any flooring tips that may help a homeowner decide on their next flooring, please list them on the comment section below.